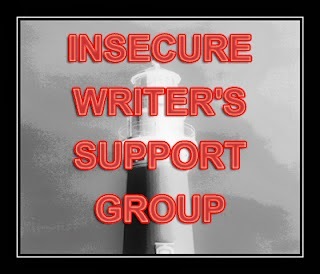 I'm back from a nice, long vacation just in time for the first Wednesday of the month, which hails the regular arrival of the Insecure Writer's Support Group, hosted by Ninja Captain Alex J. Cavanaugh. The group offers a place for writers of all kinds to support each other in moments of insecurity. While many use this as an opportunity to vent their frustrations, I realized early on that if I keep posting about my own insecurities these posts are going to start sounding very similar. So I decided to move away from "woe is me" and focus on motivation and encouragement. Each of my IWSG entries will be themed on inspirational quotes from people I admire. Today's quote comes from another author whose work made an imprint on my fragile young psyche when I was a kid, Stephen King. I began reading his books after seeing the 1990 television-movie adaptation of It, a film that likely scarred the minds of thousands of clown-loving children who were unfortunate enough to stumble upon its primetime showing. Since then, I've been devouring his fiction off and on well into adulthood. Like anything else that happens on its own, the act of writing is beyond currency. Money is great stuff to have, but when it comes to the act of creation, the best thing is not to think of money too much. It constipates the whole process. This quote has particular relevance for me right now. I recently made a decision that completely altered my work schedule and lifestyle, chiefly to afford myself more writing time. It was something that had been floating around my head and heart for a very long time, and the part that made it most difficult was the financial cost involved. Issues like this one have served as a constant reminder that as much as I love writing, it just ain't quite paying the bills yet. I've moaned more than once in this very blog about how I long to be able to do this for a living (preferably a respectful one), and I know I'm not the only one out there. In a perfect world, none of us would have day jobs. But one thing we mustn't do is bring the looming shadow of the almighty dollar to the writing desk with us. The muse has no interest in balancing your check book for you. Don't get me wrong. There's nothing wrong with fueling your work with hopes and dreams--that's a positive. Let your desire for success motivate and compel you. But if you're still thinking about figures and decimals by the time you're pounding away at the keyboard, chances are you're not writing anything I'll ever want to read (unless it's because you're calculating escape velocities and time dilation scenarios--in that case, I love you). When it comes to art, I don't think success happens by design. You'll drive yourself crazy trying to blueprint your future in an industry as tumultuous as publishing. That doesn't mean planning your approach to the game is bad, just remember that success is ultimately a by-product of talent and hard work. If you have both, and you persist to the bitter end, there's no reason to believe that your time won't come. I've said it before and I'll say it again. We writers have quite enough barriers to break through without setting up our own. So leave the money worries for the bill collectors and focus on your writing, at least until the end of your session. Chances are your story and your mental health will be better for it. Yup, exactly! It's important to have a goal and a basic plan when starting to work on any career, but it should offer you realistic direction, not added pressure and fear of failure. Something like... "I will finish drafting my novel this year", instead of "I must win an award before I'm thirty". Worrying about money before we've even set a strong foot in that career is only going to create false expectations and pressure. We should think about our next couple of steps, not the rewards of our twenty-fifth and fifty-seventh steps, right? I usually make an effort to stay away from the internet while on vacation, but sometimes (as in this case), I don't have a choice! I was on a family retreat in a cottage that had no internet connection whatsoever. It was good for me though, I think. Hope you're enjoying yours as much as I enjoyed mine! Thanks for stopping by, as usual. I love the idea of posting inspiring quotes! And this is a good one. :) Thanks for sharing. Glad I could be of service, Rachel. Thanks for reading. I think in the long run, basing our creativity on how much money we'd like to gain will make us less successful. We have to be passionate about what we're writing; we shouldn't write something we don't care for just because we think it will generate more money for us. I agree wholeheartedly, Charity. They don't say "write from the heart" for no reason, after all. As nice as it is to have money in your pocket (and boy, would I like a few dollars more), it cheapens the whole process if that's the primary driving force behind your art. And here's hoping the It remake that keeps popping up every couple of years turns out good if it ever actually gets made! I've never really thought about the money aspect of writing. I'm lucky enough to be a stay at home mom while Hubs works. I still call writing my job, because it's what I want to do for the rest of my life, but even if no one ever reads my books and I never manke any money off of it, I will keep doing it. That's the right attitude to have, Kathleen. Do it because you love it, not because you want to get paid. If you write something worth reading, the money part should (hopefully) take care of itself! When I think clown, I see the one in The Poltergeist. Eeek. One of my neighbors told me she wrote a novel. She had a relative in the publishing industry that explained to her the odds of getting it published. So she didn't write another word and advised me to stop writing immediately. I love writing. I understand the odds. And I still write. I'm very grateful I don't have to work a normal job. I always shake my head when I hear a story like that one, Tonja. It's hard to blame anyone for being pragmatic about their career choice, but I can't help but think that someone with that approach was probably not going to make it off of the runway to begin with. Sounds like you have the right approach though. Maybe if you become a success your neighbor will pick up the pen again? And yes, the clown in Poltergeist was pretty freaky too. I think clowns in general are just creepy! Killer Klowns from Outer Space ranks as one of my all-time favorite cheesy b-movies from the eighties. I definitely didn't do it for the money! I certainly won't ever quit my day job either. (Mostly because I enjoy what I do and don't want to be a full time author - too much pressure.) And if you're not writing from a place of passion, then it will reflect in your story. Good to hear, Alex! And I don't blame you not quitting your day job. I say if it's something you enjoy and feel fulfilled by, there's no reason to. Job security certainly takes some of the pressure off. Outstanding! You could have written this post for me. Thanks, Arlee! Glad you got something out of it. That's the right attitude to have, in my opinion. Hopefully you'll make more than a buck or two along the way, but keep writing regardless! One day you'll look back on this blog post with humorous nostalgia as your cashing your monthly check on the way to the Bahamas. I hope you're right, but I'll continue writing no matter what. Whether it's from the Bahamas or the poorhouse, I won't be able to help it.